The International Suzuki Association (ISA) strives to encourage, promote, enlarge, and coordinate the Suzuki Method throughout the world. 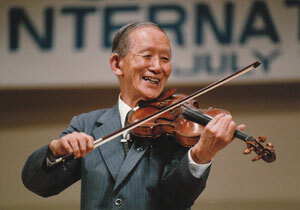 The ISA was designated by Dr Suzuki as the sole authorised organisation which can grant rights to the use of his name and the marks "Suzuki", "Suzuki Method", and other similar terms throughout the world. The ISA is an organization of organizations. At present five Regional Associations have been licensed by the International Suzuki Association. The Regional Associations have been given rights to grant sub-licenses to national associations or other organizations within their area. Each Regional Association has the same goals as the International Suzuki Association: to encourage, promote, enlarge and coordinate the Suzuki Method within their area, and to maintain the highest standards of educational instruction. The ISA is managed by a Board of Directors which includes representatives of the Regional Associations. The ISA's Instrument Committees advise the ISA board on matters relating to educational material and musical repertoire and editions. The Regional Associations are the members of the International Suzuki Association. Some of them, in turn, have National Suzuki Associations as their members, and these have individual members, who may be teachers, parents of students or interested members of the public. 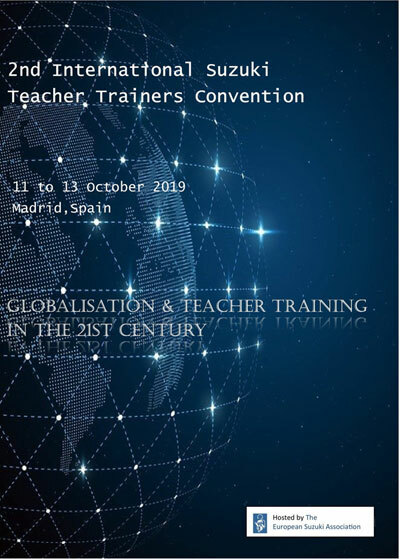 To become members of the ISA, teachers or other interested individuals, therefore need to join their own regional Suzuki association, or where appropriate the local or national association in their own area. A proportion of membership dues collected by such local organisations will be paid to the Regional Associations who will pay an annual membership fee on behalf of all their members to the International Suzuki Association. For more information please contact the Regional Associations. All previously published print copies of the ISA Journal, dating from 1990 - 2004, are now online. Enjoy reading though articles from the past, many of which were written by Dr. Suzuki on Talent Education philosophy and pedagogy. Share your favorite articles with fellow teachers and with families in your studio. Gain new insights or refresh your thinking on Talent Education and its principles. The ISA thanks Pam Brasch, Jackie Corina, Jason Hardgrave, Susan Kempter and Aaron Van Heyningen for their assistance on this project. Look for a new ISA Journal to be posted online during Spring 2019! View the Journal Archive here. "The ISA Board does not condone sexual abuse in any form especially by people in positions of authority."